The UFC is clearly very high on surging middleweight Israel Adesanya, and for good reason. The talented striker is 13-0 so far in his MMA career, including a 2-0 mark in the UFC with a knockout win over Rob Wilkinson and a split decision nod over Marvin Vettori. The Nigerian-born New Zealander is also not shy with the mic and can talk with the best of them. 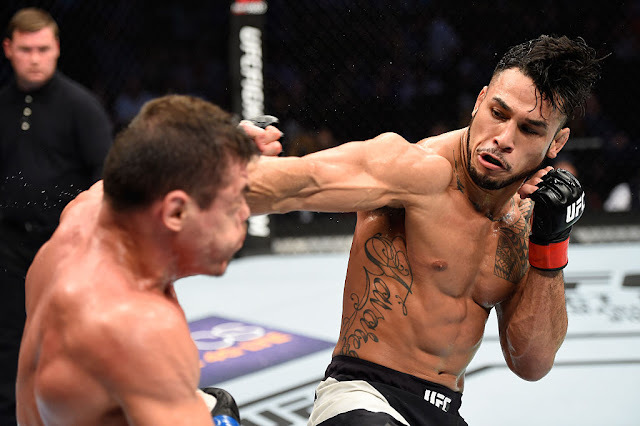 At 28 years old, the former GLORY kickboxer is right in the middle of his athletic prime, and based on what we have seen so far from him in the UFC, he is right on the brink of breaking into the Top 15. 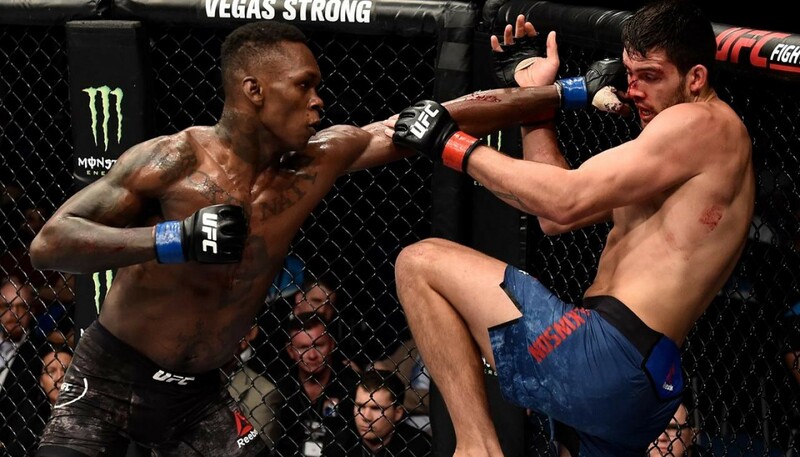 The UFC will oblige Adesanya with that opportunity when he fights middleweight contender Brad Tavares in the main event of The Ultimate Fighter 27 Finale, which goes down Friday, July 6 at Pearl Theater in Las Vegas, Nevada. The fight will be contested for five rounds, which will mark the first 25-minute bout of Adesanya's career. Though he wasn't as impressive in his last outing against Vettori as in his UFC debut against Wilkinson, he still showed an impressive striking attack as well as solid takedown defense in the fight. Those are the two things he will need to use if he wants to take out Tavares, who is as solid as it gets in the UFC's 185-pound division, with a 12-4 record as well as a four-fight winning streak inside the Octagon. Tavares is an extremely well-rounded fighter with an improving striking attack as well as a grinding wrestling game. Tavares has lost a few times by knockout to elite opponents, but otherwise he is extremely tough to beat and often wins decisions with a volume-striking and takedown-heavy approach. It's easy to forget Tavares is only 30 years old, still very much in his athletic prime and peaking as a mixed martial artist. There's no doubt Tavares is a major step up in competition for Adesanya, but clearly UFC brass feels he can pass this test if they are booking this bout. For Tavares, this looks like a step backwards based on the rankings, considering he just knocked out Krzysztof Jotko in his last fight, and Jotko was a top-15 fighter. But at the same time, the UFC probably gave him a new contract and a raise as part of the deal. After all, he just won four straight fights and is now a bona fide top-10 middleweight. 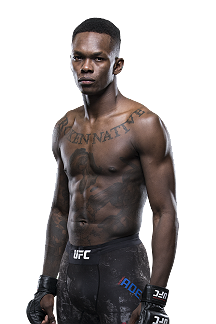 So although Tavares was hoping to get a fight against a top-five opponent, this is likely the next best thing, because even though Adesanya is not ranked yet, a lot of people think very highly of him and believe he could be an elite MMA fighter if he keeps improving his grappling, as his striking is on another level. So if Tavares can go out there and win this fight, I think that would say a lot about how much the Hawaiian has improved. 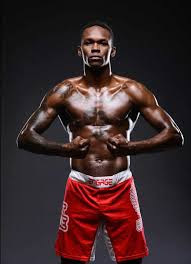 Although some will accuse the UFC of unnecessarily risking a prospect here, especially if Adesanya loses, I think the UFC made the right call in booking this fight. Adesanya is on the brink of breaking out, but until he fights a top guy we won't know for sure. Tavares himself is also on the brink of breaking out, and if he can go in there and take out the top prospect in the middleweight division that would say a lot about him. This is a very intriguing five-round fight between two guys who seem legit yet still have something to prove, and the winner of this fight is going to be in prime position to land a top-five opponent his next time out. 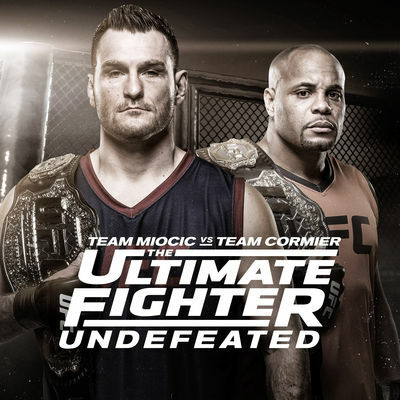 The Ultimate Fighter 27 Finale takes place July 6, 2018 at A Location TBA in Las Vegas, Nevada.